Just about 50 kilometres from Cape Town and its world-famous attractions (including Table Mountain, the V & A Waterfront and Robben Island) is the ever-growing historical town of Somerset West. As an integral part of the Helderberg, Somerset West is, technically, part of the municipality of Cape Town, but has an entirely different vibe and atmosphere to the Mother City. Somerset West remains quiet and community-oriented; home to retirees, young families and regular holiday-makers. It exudes the air of being a vacation hotspot. Surrounded by the magnificent Helderberg Mountain Range, Somerset West boasts breath-taking views of the some of the most beautiful part of the Western Cape. In the clear, warm air of the South African summers, these mountains and the extensive coastline of this part of the country really are nothing short of spectacular. The Cape Winelands lure people from all over the world to visit the Western Cape and sample its superior wines. The Helderberg Wine Route is part of the greater Winelands and represents the wines that come from this unique soil and climate. Stroll through the vineyards, take formal tours of the cellars, learn about the wine-making process and taste some of the finest wines in the country, even the world. These include reds, whites and rosés, as well as sparkling wines. Most of the wine farms are suited to families with children, as there are restaurants and beautiful areas in which to be relaxed and refreshed. The Vergelegen Wine Estate is an opulent one that is situated on the cusp of the Somerset West’s town boundaries. The original farm house remains as a museum, and the wines are exquisite. The gorgeous flora of the Western Cape is showcased to perfection in this 402-hectare reserve. The natural abundance makes for the ideal habitat for well over 100 different bird species, which attract bird-watchers from all over the world. This is also a fabulous attraction for those that enjoy hiking and walking trails, and self-guided paths that invite them to explore the area, savour the scents and feel the warm air on their faces. 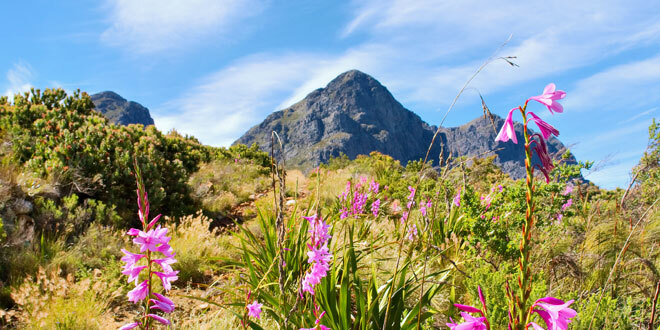 Significantly, of the more than 600 plant species in the Helderberg Nature Reserve, 13 are threatened. The picnic area means that, after completing one of the local rails, experiencing the fauna and flora, and taking great pictures, families and friends can relax and enjoy delicious treats in gorgeous surrounds. With more than 200 different shops, this sizeable mall promises endless shopping opportunities and plenty of entertainment. This is one of the largest shopping centres in the province and includes eight movie houses, a large bowling alley, games arcade, boutiques stores, popular chains, and an extensive variety of food. The facilities are fantastic, and this mall is close to both Cape Town and Somerset West. It is suited to those using wheelchairs.